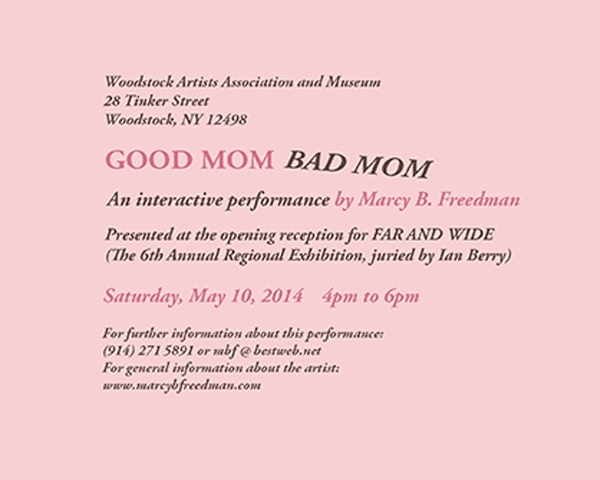 I was selected by Ian Berry of the Tang Museum at Skidmore College to be a part of the FAR AND WIDE regional exhibition at the Woodstock Artists Association and Museum. Specifically, I was invited to present a one-on-one, face-to-face interactive performance during the two-hour opening reception of the exhibit. 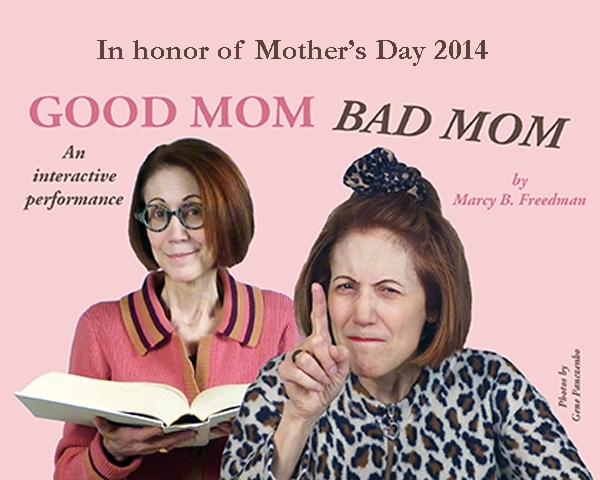 Given the date of this event, I felt compelled to devise a performance in honor of Mother’s Day. I proceeded as follows: I approached a visitor to the museum and introduced myself as one of the selected artists. I then explained that my artwork consisted of a series of conversations, and I invited the person to be a participant. Happily, everyone that I approached agreed to my plan. The next step was for the participant to tell me whether his or her mother had been a good mom or a bad mom. I was absolutely shocked by the responses, because approximately 90% of my conversational partners had an immediate response — no hesitation at all. This was true for people claiming to have a good mom, as well as those who insisted that their mom had been bad. I then allowed each conversation to proceed as it would. Most people chose to elaborate upon the reason for their assessment of their mother. The stories told by children of “bad” moms were often quite horrific, involving physical and/or mental abuse. I would guess that about 30% of the participants spoke of bad moms, 60% boasted of good moms, and 10% were somewhat equivocal.